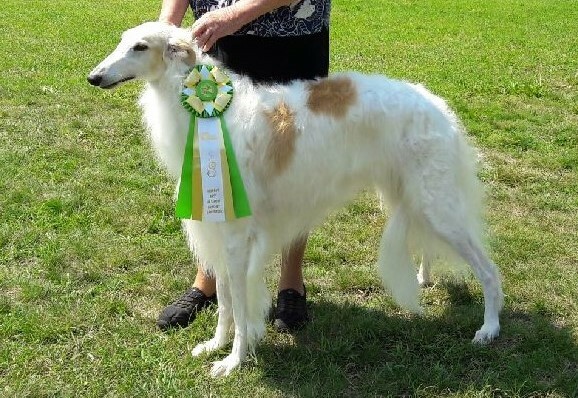 Poppy is co-owned with Janet Adams (Morozova Borzoi). She is the one and only girl from Dawn’s last litter. We are so pleased with how beautiful she is, and she has a wonderful temperament to match. Poppy finished her CH title 1/13/2019 and was BOS the next day for her first GCH points.